Visiting Canada can be compared to the old line, “How do you eat an elephant?” Answer: “One bit at a time.” At just under 10,000,000 square kilometers, it’s a pretty big elephant. 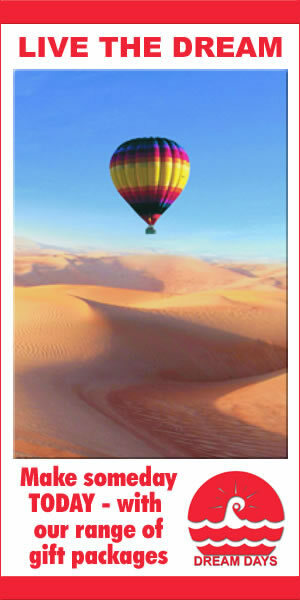 The first time visitor should focus on a particular area, rather than try to traverse the country all in one go. In this first of a series we’ll take a look at Montreal. Next month, Toronto - followed by Vancouver. Visiting Montreal can be compared to visiting Paris, minus the high prices and indifferent service. The island city, perched in the middle of the St Lawrence River is a collection of neighbourhoods, more than it is a single city. 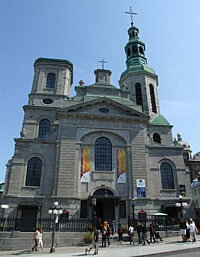 Architecturally, Montreal offers everything from quaint cobblestone streets to skyscrapers. There are ethnic enclaves where you are just as likely to hear Lebanese, Syrian, Yiddish or Jamaican as you are French or English. Of course, the predominant language is French, making Montreal the largest French speaking city outside of Paris. Rather than the split personality one might expect from a city that was founded by the French and conquered by the English, it has long performed a cultural pas de deux. In Montreal, you can shop for French and Quebec fashions, eat foie gras and frites, and do some serious clubbing until the sun rises over the St Lawrence River. Montreal is not just about being multi-lingual, it is multi-everything. You can see those influences, in brick and stone dating back to the 17th century, in Old Montreal. The city’s four universities, infuse it with a youthful verve. Local singer Rufus Wainwright has singled out the city as an incubator of contemporary Bohemia. Indeed, a stroll through the cafes in the Plateau neighbourhood or along the rainbow flag-strewn St Catherine Street, which runs through the Gay Village, proves him right. Rue Saint Laurent, called “The Main,” by locals, has traditionally separated the French and English districts of the city. In the space of a few blocks, you can find Ex Centris, a state of the art multimedia and film centre, the raucous Schwartz’s Deli, where there’s often a queue for Kosher style smoked meat sandwiches, and the Globe, consistently listed among the great bars of the world. All this punctuated by Slovenian butcher shops, antique shops and endless shoe stores. Part of the reason for Montreal’s unique character is undervalued real estate. Decades of uncertainty over Quebec’s national aspirations has kept property prices low. Cheap apartments and lofts are readily available for students, artists and those who put creativity ahead of the race to accumulate wealth. People hang out in cafes, they stay up very late, and even if they’re involved in commerce, a business lunch without wine is unthinkable. Fine dining in Montreal often lasts several hours but it will cost far less than New York or Paris. People come to Montreal because of the European style hospitality. Menus range from the predictable to the eccentric. Montreal’s neighbourhoods reward the curious explorer: from the French flavoured Plateau, Mile End and Outremont areas to the cobblestone streets and centuries old buildings in Old Montreal, which house restaurants, bars, boutique hotels and design shops. You can get around easily on the Metro (subway) designed by a Parisian. The Atwater Market, one of four major markets in the city, is a photogenic assemblage of produce, cheeses, cidre du glace (ice cider) and flowers that’s open daily. Often referred to as the biggest garden in town, the Atwater is located near the Lachine Canal, transforming itself into a gigantic greenhouse come the month of May. Go to the Canadian Center for Architecture (1920 Rue Baile), for ongoing exhibitions and one of the best architecture bookstores in North America in a harmonious post-modern building. 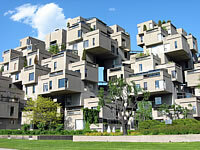 Habitat 67 (2600, avenue Pierre-Dupuy) was designed Expo 67. It’s an apartment complex that looks like a collection of children’s building blocks. The 40-year-old complex has aged gracefully and is now one of the chicest addresses in the city. In warm weather, rent a bike from Montreal on Wheels (27, rue de la Commune Est, 877-866-0633) and go along the bike-path next to the Lachine Canal, where industrial lofts are fast morphing into residences. Take a taxi up Mont Royal, for the best views over the city. Then head out to Isle St Helene, where you’ll discover the Biosphere, Buckminster Fuller’s geodesic dome built for Expo 67. If you only have time to visit one of the city’s countless churches, make it the Basilique de Notre-Dame, with its woodcarvings, gold leaf, and stained glass. Shopping is ordinary in the Underground City, but the miles of tunnels that interlace the city are a work of genius in a climate where winter must be embraced for nearly half the year. Montreal’s got joie de vivre to spare. But, you’re just as likely to find it at the Notre-Dame Basilica as on the dance floor. Montreal may be a party girl–but she’s got depth. 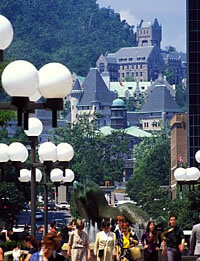 For more information, visit Tourisme Montreal.